Hockey in the Capital District chronicles professional hockey in the capital region of New York State: Albany, Schenectady, and Troy. A total of six professional teams have taken the ice in four different leagues, beginning in the 1952�1953 season with the Troy Uncle Sam�s Trojans. The tradition continued with the Schenectady Chiefs (1981�1982), the Troy Slapshots (1986�1987), the Albany Choppers (1990�1991), the Troy-based Capital District Islanders (1990�1993), and the Albany River Rats (1993�present). The River Rats brought the area its fi rst championship by capturing the AHL�s Calder Cup. 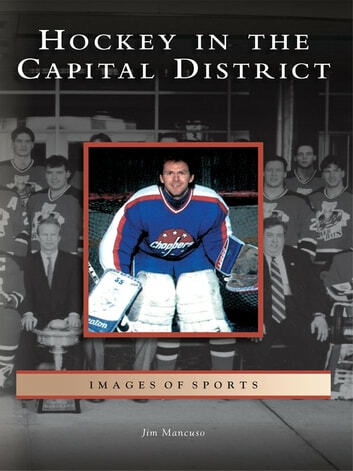 Through historic images, this volume presents the rich hockey heritage of the Capital District.